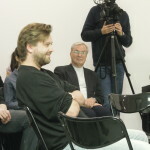 Institute of Design Research Vienna – Circle 00010 (r=4): We are all Designers? Circle 00010 (r=4): We are all Designers? 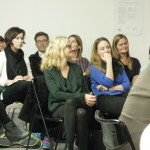 Participatory design or co-design is both, a design stance, as well as a design strategy. Herein, potential future users are equally involved in some or all of the phases of the design process to create solutions to problems, together with “design experts”. The collaboration with the future users intends to pave the way towards more authentic, holistic, and more widely accepted results. 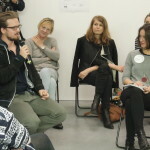 Nowadays, there is a broad set of tools and methods to facilitate co-design processes that support the interaction between designers and non-designers. We have a very broad definition of co-design: Designing with society and not for society. This bottom-up approach is especially suitable for the fields of design for sustainability and design for social innovation. 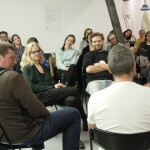 The IDRV has, since October 2014, been largely involved in the project “Wie leben – how to live?” – a cooperation funded by the Sparkling Science fund, involving two Viennese schools, the IDRV and three Viennese design studios. The project’s core part comprised a participatory design process with multiple phases in order to research relevant aspects in the lives of adolescents with respect to their impact on the environment. 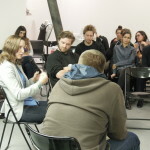 – What are the chances and risks of participatory design? – What role do skilled designers play in this setting? – Is everyone a designer? – How much “co-” can design handle? 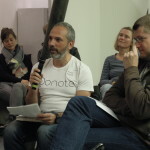 – In what areas can co-design be implemented? 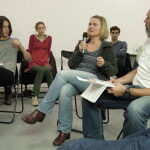 – Is there a specific training for co-designers?